Lower Twin Creek Fire, west of Kalispell. 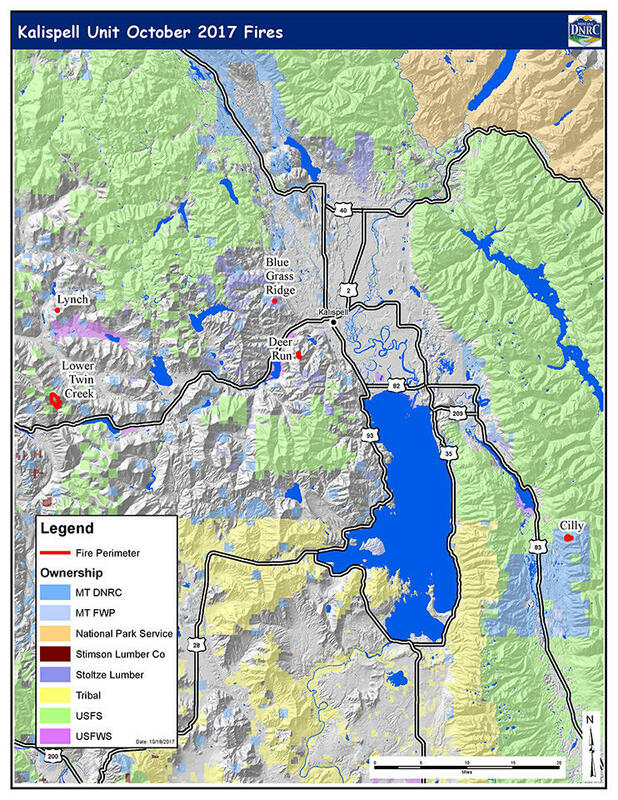 Multiple wildfires discovered yesterday continue burning across Flathead County. High winds took down power lines and caused smoldering debris piles to escape their perimeters. Four of the fires authorities are responding to range in size from 200 to 300 acres. The Deer Run Fire near Foyes Lake is currently the number one priority for fire crews because there are structures in the vicinity. However, none are directly threatened and there are no evacuation orders at this time. Flathead County Emergency Manager Rick Sacca says that tonight, there should be significantly less fire growth than yesterday. "Hopefully they settle down with a normal predictable fire pattern, with the wind dying down a bit and the relative humidity going up, and we’re hoping the fires will settle down a bit." Flathead area fires, October 18, 2017. Sacca says that according to fire experts, seeing wildfires pop up so late in the year is very unusual. 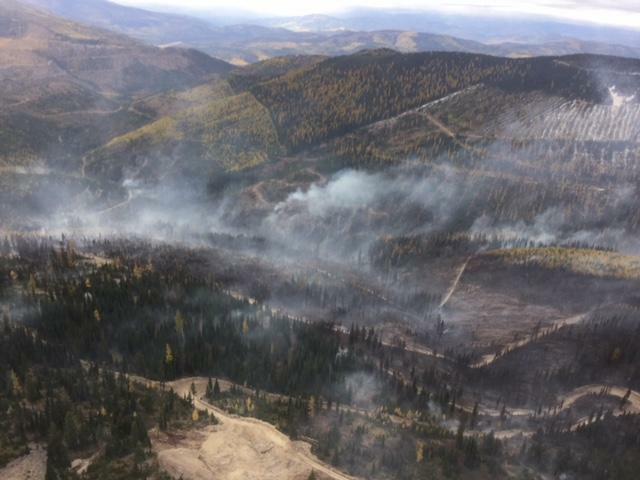 "They went into what appeared to be a good and safe season to begin some of the slash pile burning. One of the areas had several inches of snow on it when piles were lit. That quickly melted off and we went back into much warmer weather pattern. Then the high wind event combined with that to reignite those fires." 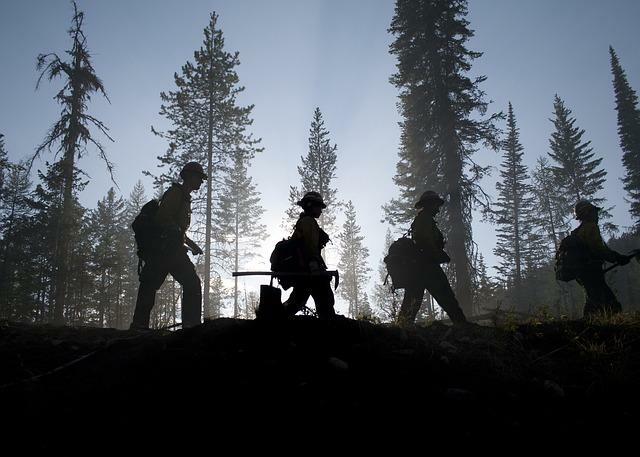 The DNRC is working with other local agencies to contain the fires. A Missoula-based fire aviation company is pulling planes out of retirement to help battle California’s devastating wildfires. 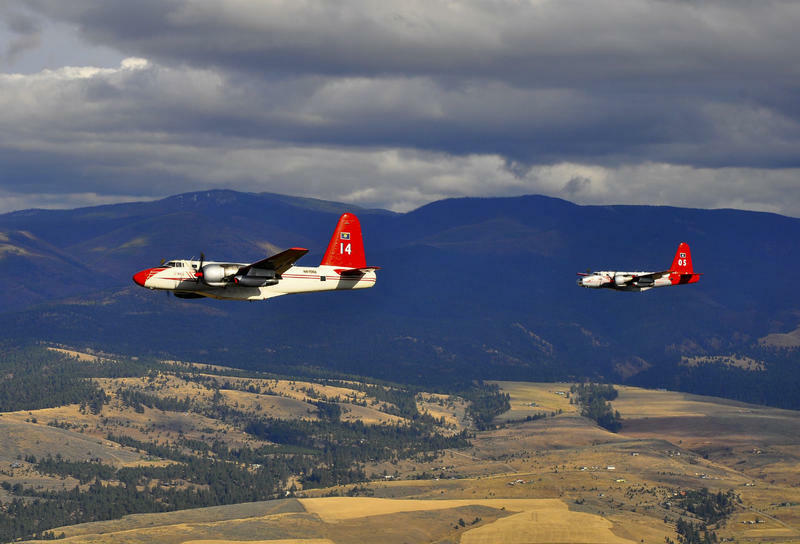 Two of Neptune Aviation’s legacy P2V air tankers just can’t be kept out of the fight.